January is in full swing and it’s a busy one for KBTRIBECHAT! Let’s get the KBIS ball rolling on January 14th as KBIS sponsors and hosts the pre-show chat. Join the KBIS team, NKBA and many participating exhibitors and attendees as we discuss what makes this year’s show BIGGER, BOLDER and BETTER. We’ll be discussing new initiatives such as KBIS NeXT – Stage Presentations, Tech Bar, Innovative Showroom Display and the VA Tech FutureHaus, NKBA learning opportunities, special after-hour events, the KBIS Mobile App, social media promotions at the show, and of course, our progressive #KBTRIBECHAT sponsored by Cambria, Wellborn and TOTO USA. And, with less than a week until the show kicks off, hear from our exhibitors as they share what’s new and exciting in their booths! 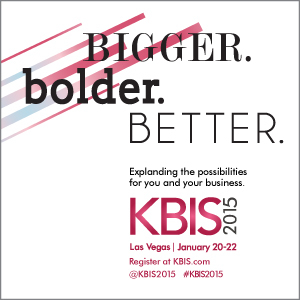 Join us Wednesday, January 14th at 2:00 pm ET for the #KBIS2015 COUNTDOWN! Let us know if you’d like a Pin-vitation! 1. Let’s start with some fun. When are you arriving in Vegas and what’s first on your agenda? 2. 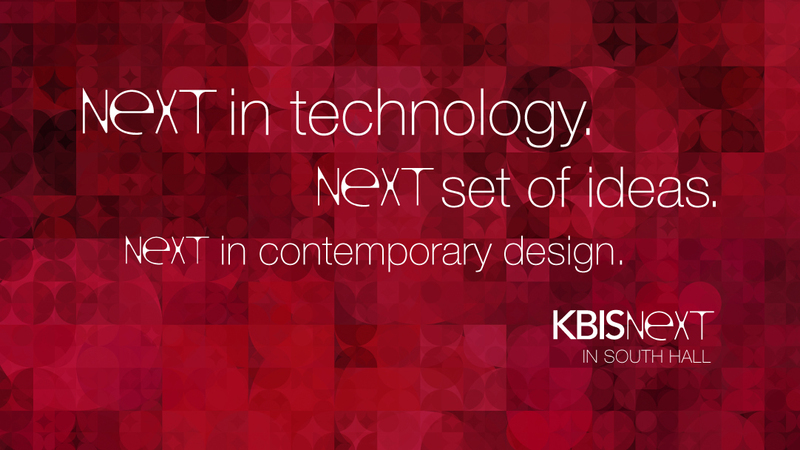 KBISNeXT is our exciting new initiative this year. Do you plan on visiting #KBISNeXT in the South Hall? Why? 3. @theNKBA presents so many learning opps from courses to #VFTI to featured speakers. What are you planning on taking in? 4. Part A) Wow! 119 #BOK2015 entries & too many exhibitor product launches to mention! What brands are on your must-see list? 4, Part B) Exhibitors, it’s time to shout out your booth numbers and share your events! Go for it! 5. How do you plan to leverage social media at the show? What platforms do you use the most for live events? Using the KBIS App? 6. What’s on your list for after hours? @theNKBA Bash? Restaurants to try? Sights & shows to see? With KBIS 2015 registration opening on September 2nd, we’re excited to sponsor and host KBTRIBECHAT on the 3rd to get the ball rolling with our kitchen and bath community! Not only will we be announcing the sponsors of the show floor Progressive KBTRIBECHAT but we’ll also have a guest appearance by Veronika Miller to tell us a little about #BLOGTOUR VEGAS. With your KBIS pass gaining entrance to 5 #DCW2015 events, what’s your priority & game plan? What ICFF exhibitors would you like to see at #KBIS2015? We want our #KBISNeXT Tech Bar to rock! What topics would you like us to tackle? Exhibitors! Jump in! Share your booth number. What are you doing special in your booth at #KBIS2015? In prep for our Innovative Showroom Awards, what’s the best K & B showroom you’ve ever been in? For @Modenus: What can we expect from #BlogTourVegas at the show? Name one #Vegas experience you’re looking forward to!